Get Creative with Beginner Art Kits! Our newest selection of beginner art kits make it easy to get creative. Learn to paint & draw with these art kits that include everything you need to get started. You'll find them in the Paint & Draw Art Kits of the store! The Chinese Brush Painting Kit from Walter Foster is an introductory art kit for beginners to learn the ancient art of Chinese brush painting. 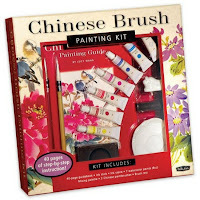 Kit includes a comprehensive 40-page guidebook, 7 watercolor paints, 2 Chinese paintbrushes, an ink stick, ink stone, mixing palette, and brush rest. Detailed illustrations and step-by-step art lessons make it easy for beginners to learn this beautiful & elegant art form. The guidebook provides clear instructions for creating 11 Chinese brush paintings, including a variety of subject matter. 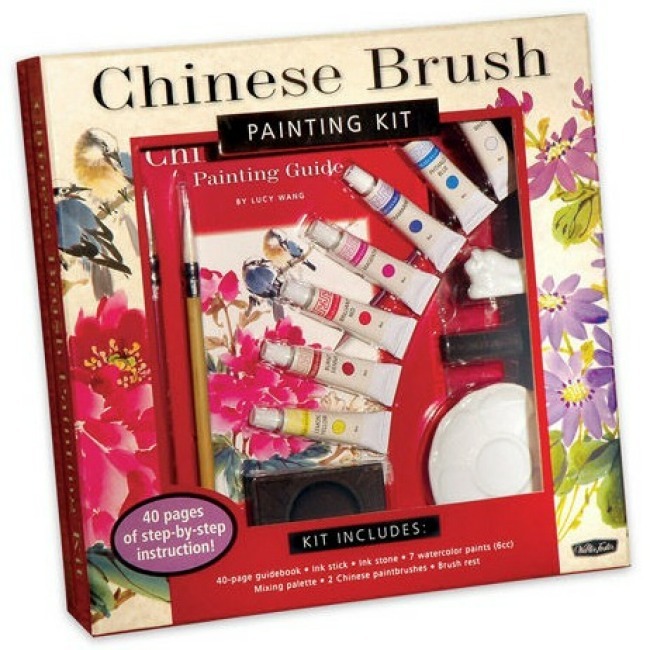 Quality materials & instruction make this an ideal painting kit for aspiring artists. The professional presentation and packaging make it perfect for gift giving! 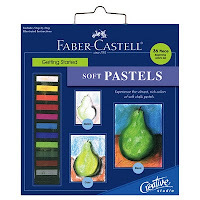 The Getting Started Soft Pastels Kit is a beginner pastel drawing kit from Faber-Castell. 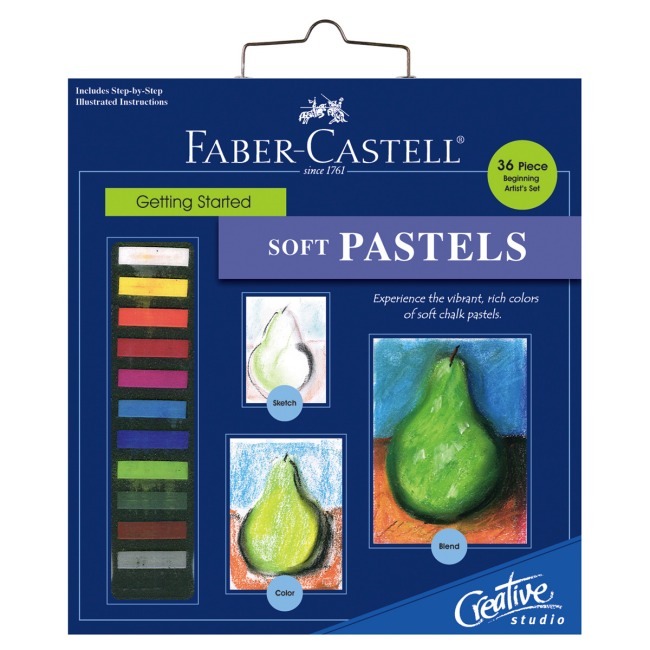 This is an ideal art kit for anyone wanting to learn how to draw with pastels. Kit includes 12 soft chalk pastels, 4 foam blending sticks, 4 sheets black sanded paper, 6 sheets white pastel paper, 1 eraser, and 12 illustrated instruction cards. Everything you need to create your first pastel painting! The instructions cards introduce the beginner artist to the basics of drawing with pastels, including blending colors, color techniques, and mixed media applications. 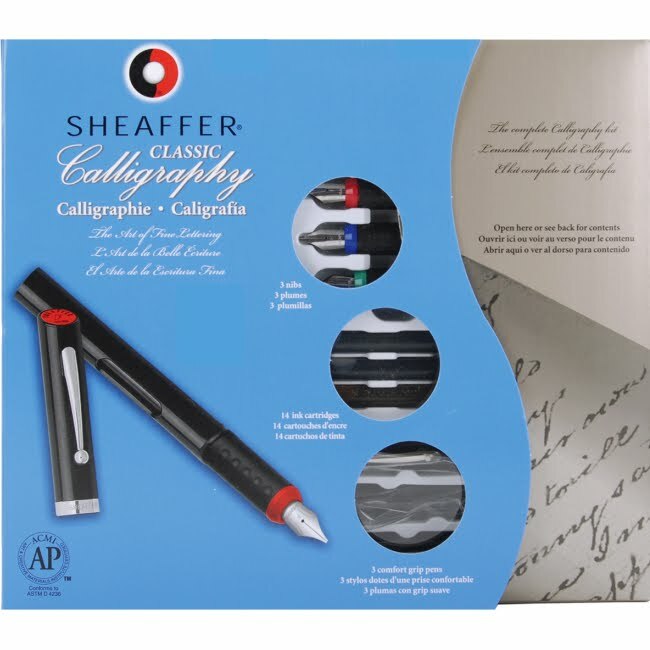 The Sheaffer Classic Calligraphy Kit teaches the art of fine lettering. Kit includes 3 comfort grip calligraphy pens, 3 color-coded nib grades, 14 assorted color ink cartridges, tracing pad, and instruction booklet. 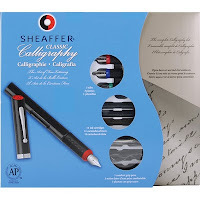 Simple step-by-step instructions make this the perfect calligraphy kit for beginners. Calligraphy adds a creative touch to scrapbook pages, art projects, birth announcements, holiday cards, and more! Beginner art kits are the perfect gift for birthdays & holidays. Explore the Paint & Draw Art Kits section to see our complete selection of art kits, including painting kits, drawing kits, and lettering kits. Visit Weekend Kits today and be ready to learn new art skills on your next Weekend at Home! Fun & Easy to Sew Apron Patterns! 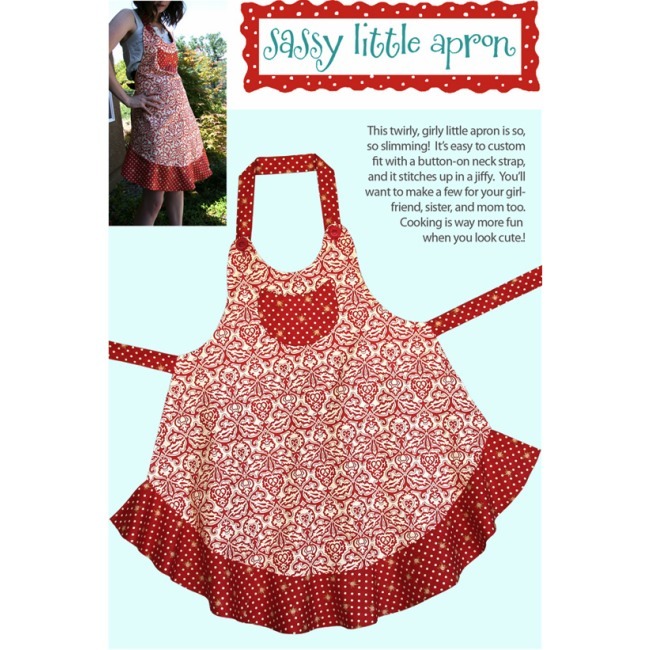 We have new apron patterns to share with you today. You'll find them in the Apron Sewing Patterns section of the store! 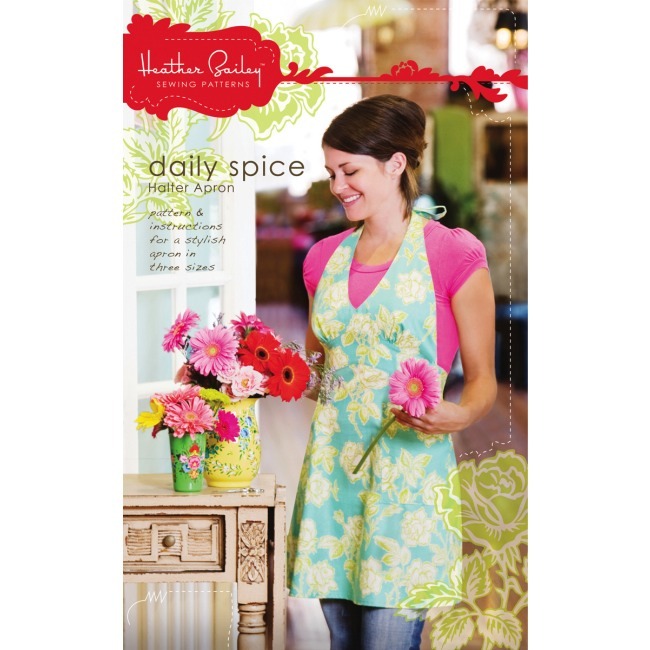 The Daily Spice Apron Pattern is a halter style apron from Heather Bailey. Perfect for today's modern home decor fabrics. Looks great here paired with a colorful t-shirt and worn blue jeans. Aprons are a trendy new fashion layer & they're functional too! Wear aprons to keep clothes clean while working on daily household activities, including cooking, cleaning, and crafting. This sewing pattern includes 3 adjustable woman's sizes in small, medium, and large. Professional illustrations and detailed instructions make this apron a breeze to sew! The Sassy Little Apron Pattern is a twirly, girly apron design from the Cabbage Rose. This apron is so slimming and so fun to wear! Quick & easy to sew, you'll want to make one for yourself and a few extra to give as girlfriend gifts. You'll need 1-1/4 yard of the main fabric, 7/8 yard of the accent print, and matching thread. Making an apron is an ideal sewing project for beginners looking for an easy pattern with minimal pieces and basic sewing techniques. 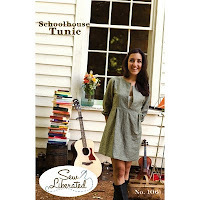 The Schoolhouse Tunic Sewing Pattern from Sew Liberated makes up into a stylish & flattering cover up! There are 2 length options, including the tunic length or an optional shirt length. Pattern features pleats in front and back. The sleeves are 3/4 length with an option for adding an elastic gathering at the cuff. 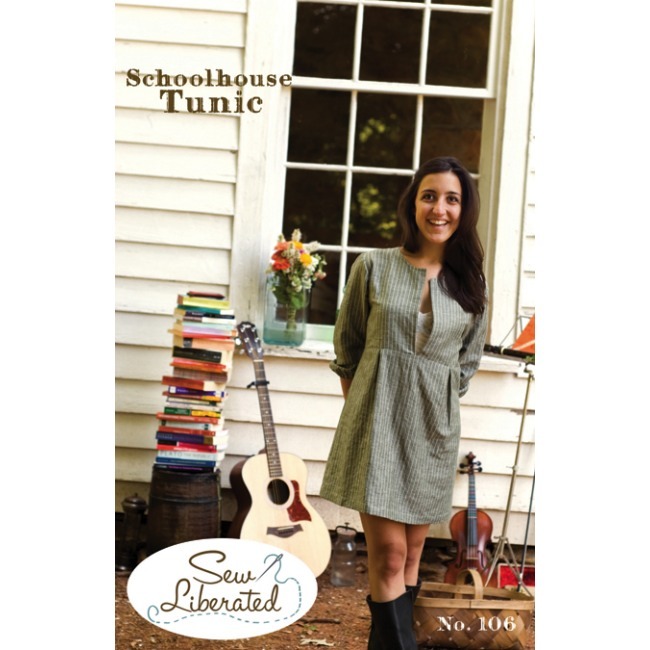 The open bodice makes it perfect for layering over a tank or t-shirt. Pattern includes instructions, assembly diagrams, and full-size pattern pieces for woman's sizes 2-20. You'll find this sewing pattern easy to construct & quick to sew. Visit the Apron Sewing Patterns section to see our complete selection of patterns to make your own apron. You'll find a wide selection of apron patterns to suit every style, including retro aprons, fashion aprons, modern aprons, and more! Coming Soon! If you love aprons, but don't have time to sew, we'll be adding a few finished aprons to the store soon. You won't want to miss them these fun aprons from Jessie Steele. Visit Weekend Kits today and be ready to get creative on your next Weekend at Home! 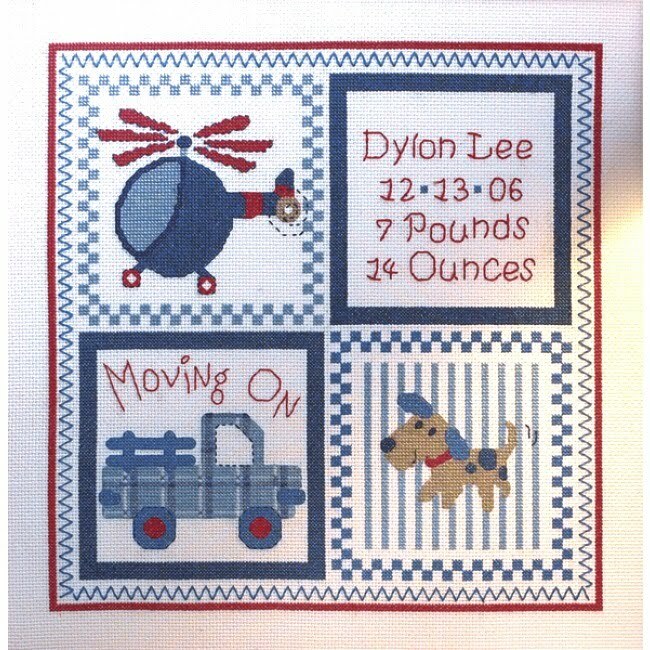 Bucilla Cross Stitch Kits for Baby - Moving On! We have a new selection of cross stitch kits for baby! It's the Moving On collection from Bucilla, featuring a cute spotted puppy with a fun variety of moving cars, trucks, and rescue vehicles. 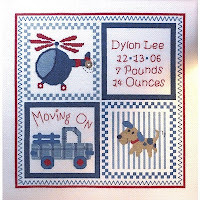 You can embroider a baby quilt, birth record, and baby bibs with the new Moving On embroidery kits. You'll find them in the Embroidery Kits section! The Moving On Stamped Cross Stitch Baby Quilt Kit includes a stamped crib cover, cotton embroidery floss, needle, floss separator, chart, and easy instructions. The 34" x 43" crib cover is a pre-quilted & pre-finished baby quilt, ready for you to embroider! The cross stitch marks are pre-stamped on the quilt with washable blue ink. The color chart shows where to place the individual colors of embroidery floss on the quilt. 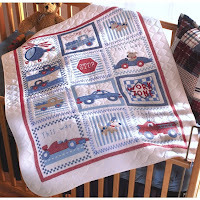 Your completed Moving On embroidery quilt will brighten baby's nursery and bring lasting enjoyment throughout the years! The Moving On Counted Cross Stitch Baby Birth Record Kit includes 14-count white Aida fabric, cotton embroidery floss, needle, floss separator, chart, and easy instructions. The birth record kit uses the counted cross stitch method for stitching. This requires counting squares on the foundation fabric to find the correct placement for each of the X-shaped stitches. 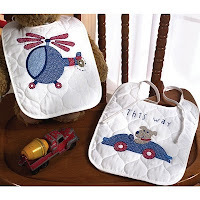 Embroidery patterns include a helicopter, truck, spotted puppy, and one open square for you to personalize with baby's name, birth date, and weight! Finished stitched size measures 12" x 12". Your completed Moving On birth announcement will be the highlight of baby's room! The Moving On Stamped Cross Stitch Baby Bibs Kit includes 2 stamped baby bibs, cotton embroidery floss, needle, floss separator, chart, and easy instructions. The 8-1/2 x 11" baby bibs are pre-quilted, pre-finished, and ready for you to embroider! The cross stitch pattern is pre-stamped on the bibs with washable blue ink. Baby bibs are an easy stamped cross stitch kit for beginners. The small size makes them easy to handle and fun to stitch. Hand embroidered baby bibs are the perfect baby shower gift. You'll enjoy watching baby wear the Moving On baby bibs you embroidered just for them! 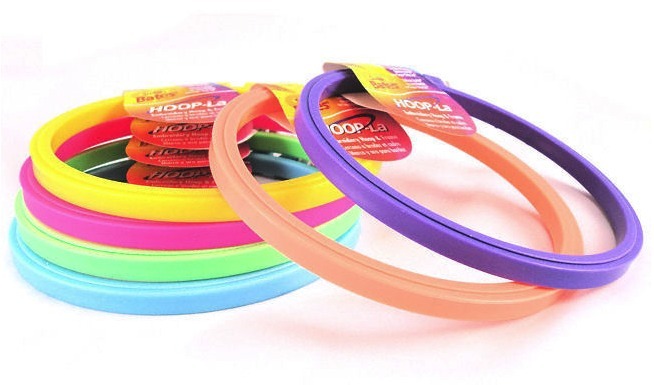 You'll find embroidery hoops, scissors, bobbins, and other handy accessories in the Embroidery Supplies section of the store. Visit the Embroidery Kits section to see our complete selection of cross stitch kits, crewel kits, beginner embroidery kits, and more. Stop by Weekend Kits today and be ready to embroider something new for baby on your next Weekend at Home!